On Saturday, November 17, 2018, VRT-U will be one of many organizations in over 60 cities worldwide to host a free, educational event for Virtual Reality (VR) Day. The goal of VR Day is to promote virtual and augmented reality (AR) in order to help these technologies become more mainstream. This voluntary grassroots effort will be led by individuals, companies, and organizations. 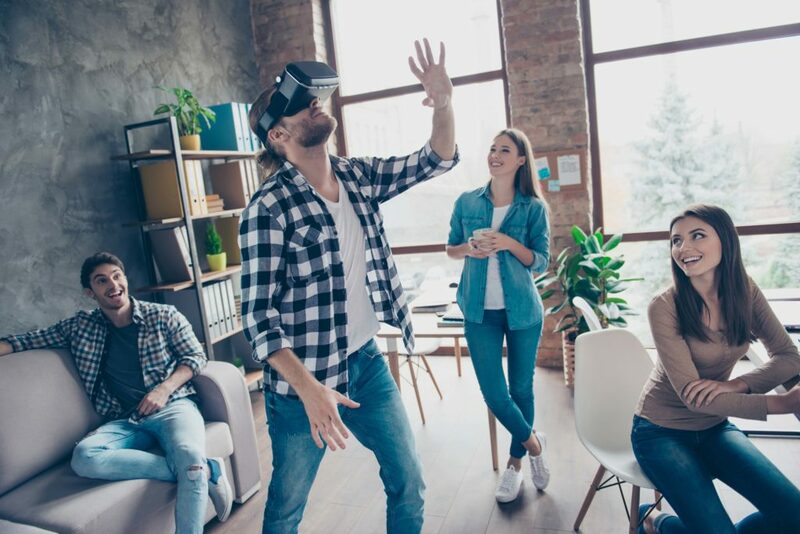 The family-friendly events will bring together local communities, allowing people of all backgrounds to try out VR/AR technologies, such as the Microsoft HoloLens, the Oculus Rift, and the HTC Vive. At certain events, VR/AR products will be on sale, just in time for the holidays. VRT-U (pronounced “virtue”) specializes in VR, AR, and 360° video technologies to create immersive, transformative learning experiences. Our approach is to design and integrate creative visual arts and new technologies to bring cost-effective learning solutions to target audiences. Earlier in 2018, VRT-U collaborated with Look On Media, winning first place in the 2018 NIST Virtual Reality Heads-Up-Display (HUD) Navigation Challenge. Their HUD solution guides firefighters through smoke and darkness to find victims and evacuate them using the safest path possible.